During World War II, she is involved in running arms for the Norwegian Resistance. 1947 – This time she reappears in Newfoundland. No trace is found of the crew or what/where she has been for the past three years. After being brought back to the Netherlands she resumes operating as a cargo ship. 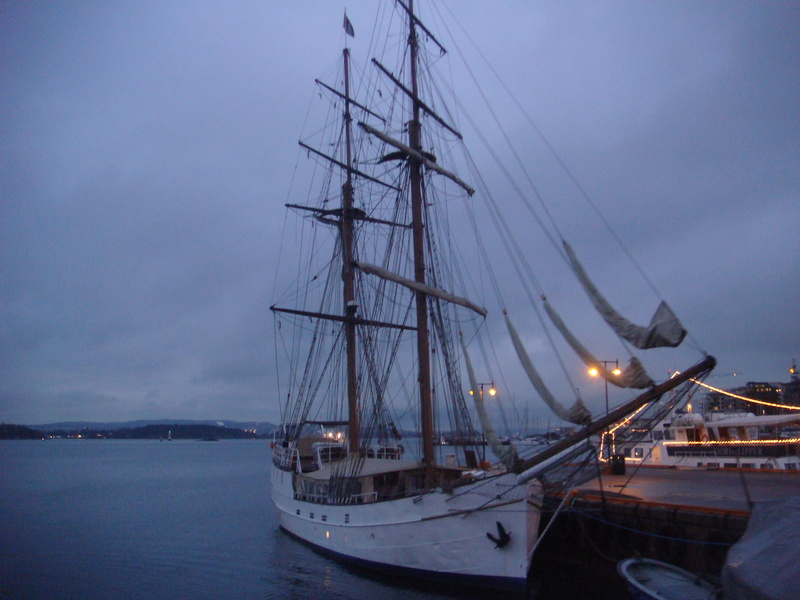 1995 – Her trading days are over and she is converted back into a sailing ship. Tags: Justin Ames, Norway, Oslo, Pierre de Leon, S/V Legend, Team Ames. Bookmark the permalink. It seems like the story of a ghost ship. Great story J! Fascinating. I do like this veil of mystery.